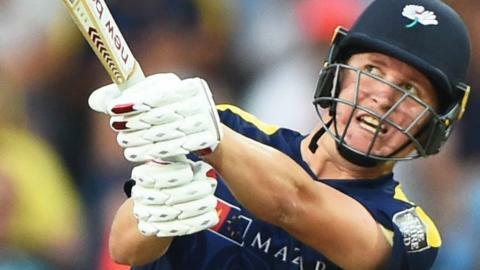 Watch highlights as Lancashire Lightning captain Liam Livingstone stars with bat and ball to help his side to victory over Leicestershire Foxes in the T20 Blast. Can Leicestershire end winless run? Read more on Can Leicestershire end winless run? How much do you know about county overseas players? Test your knowledge of this season's overseas players in our county cricket quiz. Read more on How much do you know about county overseas players? With the county season finished for 2017, BBC Sport users have chosen their Championship team of the season. Read more on Who made your county team of the season? Why are Leicestershire, who have not won a Championship game for two seasons, the worst four-day team in the country?